Following in the current hot trend in YA (as a friend put it the other day, "Dystopian is the new angels is the new zombies is the new werewolves is the new vampires..."), Shatter Me by Tahereh Mafi is very much your typical dystopian YA. In an undisclosed time in the future, there is something drastically wrong with the world; the weather patterns seem to be shifting haphazardly; the government, now known as the Reestablishment, may or may not seem to have some knowledge into what's going on; there is civil unrest. Shatter Me is also your typical YA; Juliette, the protagonist, blames herself for something that may or may not have been her fault, and eventually falls for the extremely good looking Adam, who may or may not have her best interests at heart. 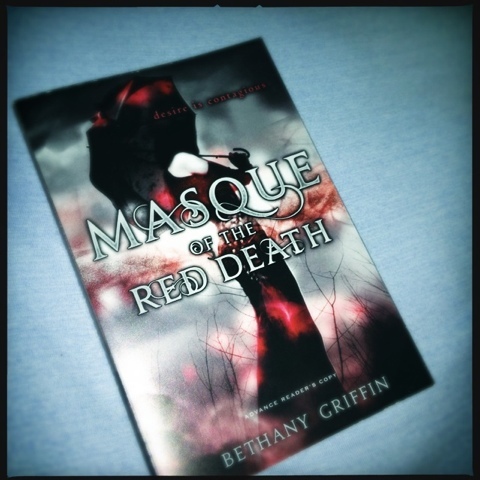 However, there is plenty in this story that makes it NOT your typical YA. First off, and this is something that really can't be overlooked, is the purple prose. There's a LOT of it in this book, and at first I found it a little distracting, only because it seemed so conspicuous. However, the more I thought about the book afterward, I can't imagine how Mafi could have told this story any other way. Juliette is almost an unreliable narrator; at the beginning of the book, she has been locked up in an institution for 264 days with no contact with any other people, and there is some question right from the beginning as to her sanity. Since we're in this story from her POV, the purple prose does seem to become a little more stream of conscious, so it appears that what she's thinking may not always be the most sane thing you've ever read, which leaves the reader guessing throughout about her sanity, thereby creating the feeling of the unreliable narrator. It's a nice little circle that was either done by design or happenstance, but either way it ended up working for me in the big picture. The other thing that seemed to stick out for me that made this seem a little more than your typical dystopian YA story is the superhero angle that is thrown in. Perhaps Juliette is really more than what she seems, and maybe there are more like her out there. It made for a nice little twist, taking what seemed like a typical dystopian tale and creating something a little more science fiction out of it. The story opens with Juliette having been locked away for 264 days, with no contact with anyone, for a reason that we're not privy to at the start. Much to her surprise, a guy ends up being incarcerated with her, a guy that she seems to think is from her past, but she's not 100% sure. Eventually, we come to understand that she can kill with a touch, and that it doesn't seem to be something that she can control. Her ability comes to the attention of the Reestablishment, and they want to be able to use her as a weapon against the civil unrest that is broiling across the country. Adam, a member of the Reestablishment army who was planted in her cell to learn more about her, is actually there to try to protect her, and eventually the two escape, after Juliette learns that her abilities may be more than even she is aware of. From here, the game of cat and mouse is on, as Juliette and Adam try to keep one step ahead of the Reestablishment. This isn't a perfect book. 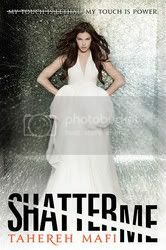 There are certain turns of phrase and words that are used just a little too frequently for my taste; how many different ways can you count when reading Shatter Me that describe Juliette's jaw dropping? I think I had lost count at something like five of them. And the word million is used too many times. The writing can sometimes almost seem a little over the top, but like I said before, by the time I finished the book, I couldn't really imagine the book written any other way. Even the inconsistencies in the writing and the flaws became part of Juliette's voice, still leaving me wondering just how a reliable narrator she is. The book doesn't end on a raging cliffhanger, which I'm thankful for. Not every book needs to end that way. (I'm looking at you, Suzanne Collins.) Sometimes the story can just come to a nice breaking point, waiting for the next book to pick. Mafi ends her book this way. Juliette and the other characters come to the natural ending point for this chapter in their story, and I honestly am looking forward to the next book in the series, Unravel Me. Juliette grew so much as a character throughout Shatter Me, I'm curious to see where Mafi takes her next. What I viewed as flaws in the book notwithstanding, Shatter Me is a really great story, and I think Mafi brings something fresh to the dystopian YA table. 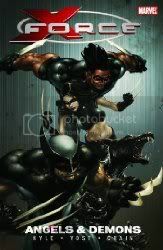 A series spin-off from the events of Messiah CompleX, X-Force is the group of X-Men that will cross the lines that the X-Men themselves won't cross. Made up of the best trackers and killers that the X-Men have, X-Force's first mission is to take down the head of the Purifiers, a mission that proves much more difficult than they expect, especially with the unexpected return of Bastion. 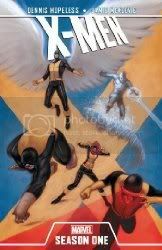 A dramatically darker storyline than your normal X-Men story, this volume deserves its "Mature" rating. The themes dealt with in this volume, including the over-the-top body count, definitely makes this a more "adult" X-Men title. Even so, it is a decent spin off from the Messiah CompleX storyline and I'm interested to see where this story goes from here. 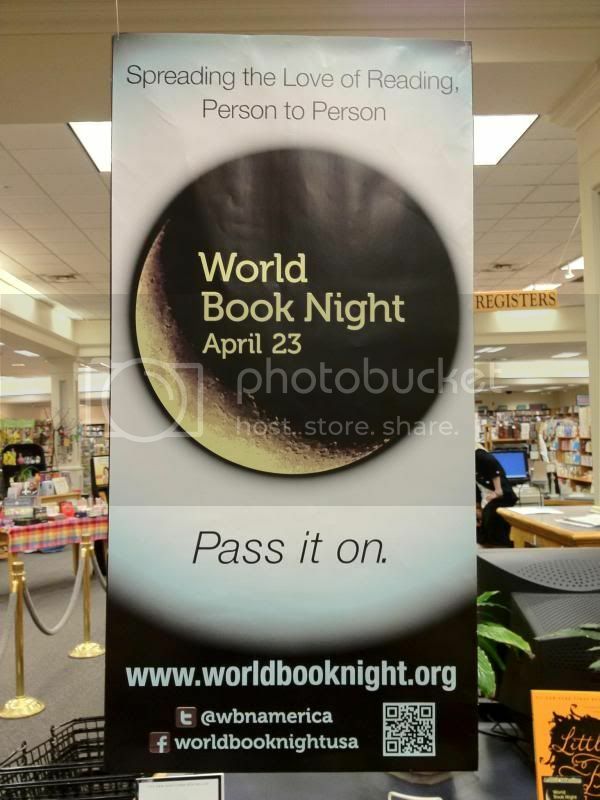 Our local book store and pick up point for World Book Night US, Schuler Books, hosted a small reception last night for those of us who are going to be giving out books on Monday night. This is the stack of books that I ended up with after we pooled everything we were supposed to receive with the extras that the bookstore gave us. 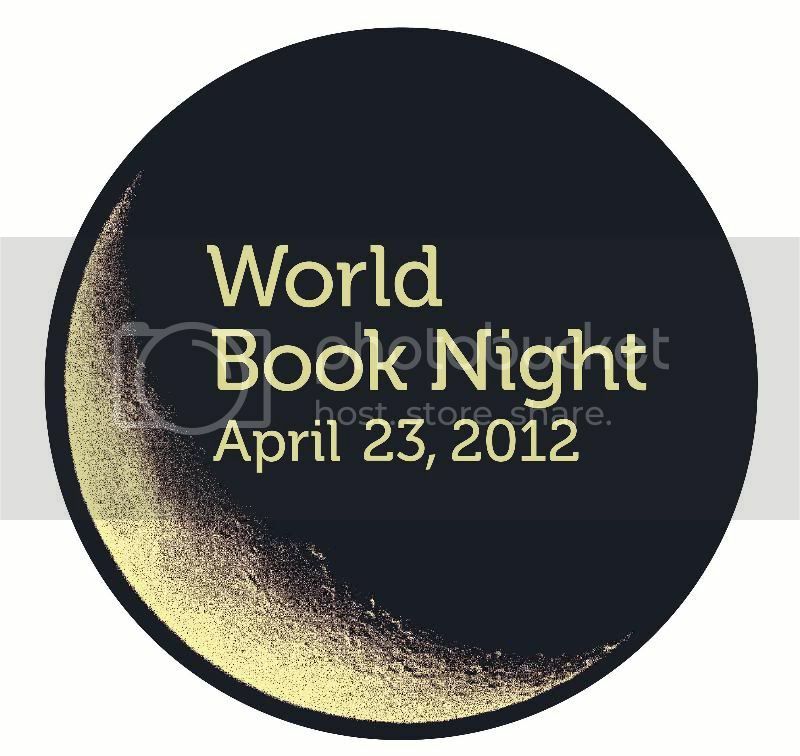 I've got The Hunger Games by Suzanne Collins, Kindred by Octavia Butler, A Reliable Wife by Robert Goolrick, & The Absolutely True Diary of a Part-Time Indian by Sherman Alexie. That right there is a group full of fun and awesome! Last Friday night I got to attend a book signing in Naperville at Anderson's Bookshop for the Spring Into the Future Book Tour, hosted by HarperTeen. 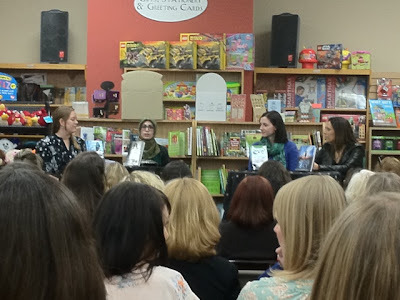 I got to meet (L-R) Cynthia Hand (UNEARTHLY & HALLOWED), Tahereh Mafi (SHATTER ME), Anna Carey (EVE), & Veronica Rossi (UNDER THE NEVER SKY). It was my first time to Anderson's, and it was a nice little store. I'd like to be able to go back when I have time to take a look around the store. The authors were great to talk to and everyone took time to sign their books and chat after the Q&A. I'll be putting up a giveaway soon for posters signed by all 4 authors, do stay tuned for that! A nice article from the New York Public Library. With this year being the 100th anniversary of the maiden voyage and subsequent sinking of the Titanic, I'm sure there are going to be plenty of books to choose from if you are interested in reading more about the ship and tragedy. Richard Davenport-Hines' Voyager of the Titanic is a well researched look into the people behind and on the Titanic more than the actual ship itself. Instead of presenting a rather broad exploration of the entire event, Davenport-Hines focuses right in on certain groups and people not only behind the construction of the ship, but also those that were on the ship. 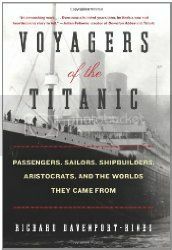 He crafts more a social history of the people surrounding the Titanic rather than the ship itself. He moves his story along well, although some parts may have seemed a bit rushed. Overall, a good read if you are interested in seeing into the lives of the people surrounding the Titanic. I send you love forward into the past. 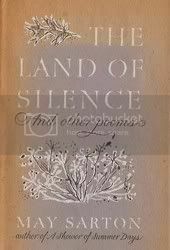 Many of the poems here begin to speak of Sarton's search for solitude and how she is becoming familiar and even accepting of the need and benefits of a solitary life. One of my favorite lines from her poetry came from this book, as well. "I send you love forward into the past." came from her poem, Letter from Chicago, which was written for Virginia Woolf, as she was thinking back on Woolf's life and the personal pain that Sarton felt for her loss. I can't help but think of this line whenever I think of those close to me who have left my life. 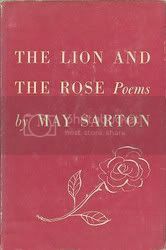 I don't have anything profound to say about Sarton's third book of poetry. A good decade has progressed since her first book of poetry, so there is obvious growth in her writing. The poems are becoming, at least in my opinion, more what she was to become known for in her later years. I want to like this book. I really, REALLY want to like this book. But, I don't. I've been working on reading it for the better part of a month now, and I'm only 60-ish pages in, and I simply do not care what is happening in this story. The plot doesn't seem like it should be that challenging, and honestly, it isn't, but it's apparently not engaging enough to hold my attention for more than a chapter (if that) at a time. So, I'm setting it aside for the time being, moving on to other books, and I'm going to revisit this one again later in the year to see if I will like it more then. 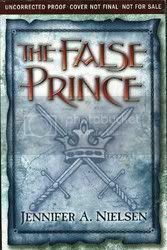 Basically, the entire Royal family has been killed, and an ambitious nobleman, Connor, has chosen three orphans, who have a passing resemblance to the long lost and thought dead prince, to be trained in the art of royalty in two weeks, so that one of them can be passed off as the missing prince and rule the country. Connor says he doesn't want anything more than to have his country ruled fairly, and he's not in it for selfish gain. And that's all I've got so far for 60-ish pages and almost a month of trying to read this book. Obviously, from the fairly high ratings this book has everywhere, I am in the minority on not liking the book, but it is what it is. I really dislike writing this sort of review, but there are other books out there calling for my full attention right now. and the slow perfect healing, leaving you whole. Cut off your hand, you will not find it there. must be lived out like a slow fever. No part is mortally afflicted. as one returns from death. 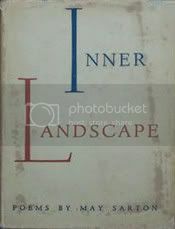 Sarton's second book of poetry seems to suggest her later need of solitude and the sanctuary that that can entail for some people. The poems are still strong, though, but they speak to me of a need to center in on ones self and find the peace you are seeking in life there. This is a reread for me, as I just picked up the third volume in the series, so I'm catching back up on what's gone before. Even knowing what was coming, this is still a fantastic story and thoroughly worth reading. I'm just posting up my review from before, as I still stand behind my thoughts about the story. The writers waste no time in getting into the story, as the boy (who I think remained nameless throughout the book) is kidnapped by the Boogeyman within the first 4 pages of the story. Eight of his toys decide to rescue him, as they feel this is their duty to him. 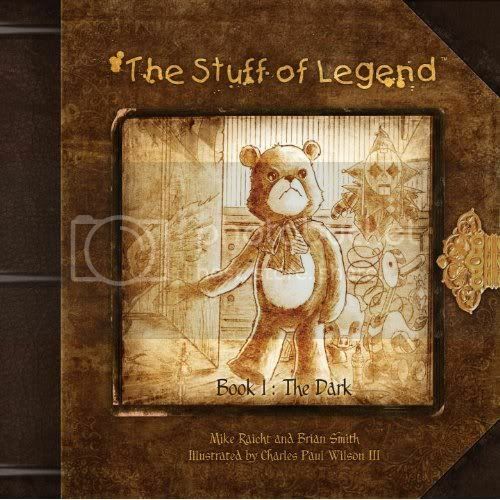 The boy's dog, Scout, accompanies them into the Dark, where the toys undergo an amazing transformation, becoming the real, "living" counterparts to their toy selves (for instance, the boy's teddy bear Max because a fierce grizzly bear). The toys are victorious against the Boogeyman's army in their first battle, but suffer a grave loss afterward in the form of a possible traitor in their midst. The story does move along a little quickly, but it doesn't detract from the actual storytelling at all. There is real emotion in this book. It is a dark tale, but ultimately one that has a redemptive value that I think is rarely seen in this type of story. The only unfortunate aspect of the story is that it is being published in periodical form (this is a collected edition of the first two issues of the comic books), so there is going to be some wait until the next edition is released. The art is beautiful as well, rendered in duotone pencil illustrations and presented to look like the pages of an old scrapbook or photo album. The transformation of the toys into their new selves is impressive, and I loved how the Boogeyman is drawn. He's both beautiful and horrible, all at the same time. It is simply an overall gorgeous presentation, and I am quite delighted that I stumbled on this in the bookstore. Now, just to wait for the next volume to be released so we can find out what happens next! This is an intense literary-historical fantasy that challenges the reader with a wealth of allusions and deeply conceived and constructed ideas. The premise--which explains some of the odd behavior and fascinations of nineteenth century Romantic poets Byron, Shelley and Keats by positing the notion that they were all interacting, to some degree, with vampiric supernatural beings spun out of European fable and myth--is complex enough. Add to that a protagonist embroiled in a murder plot, early obstetrics, and his own tragic past, as well as a complicated woman who is so much more than a love interest, and you have a rich loam of story into which the reader's mind roots and grows. There is not a moment in this book where the reader stops thinking. While Powers constructs a plot with the ups and downs of a roller coaster, at no point are we simply "along for the ride". 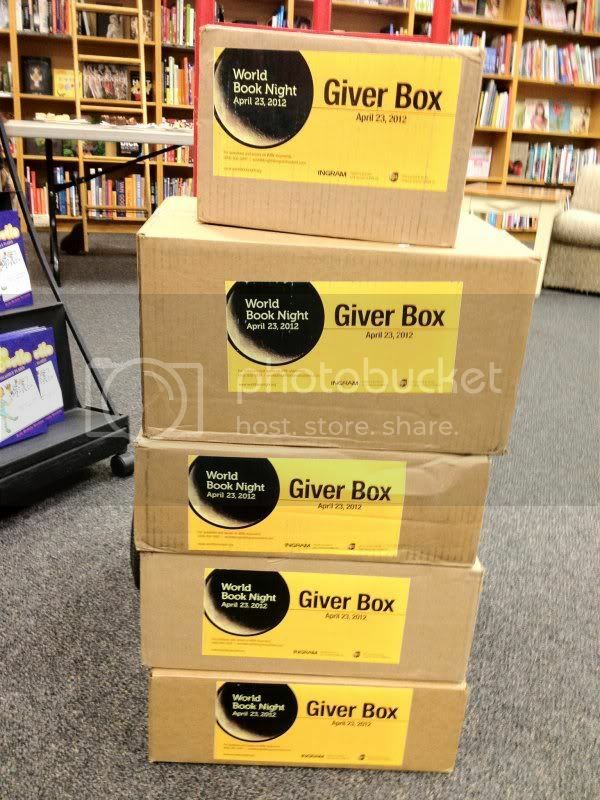 Every page engages one's rational faculties, philosophical perspective, or emotional core. I, for one, found myself fascinated even by the epigraphs that began each chapter, which alluded both to the novel's themes and to the historical personages Powers machinated into the book. Powers has said that he writes inside the spaces of history -- according to WikiPedia, he states "I made it an ironclad rule that I could not change or disregard any of the recorded facts, nor rearrange any days of the calendar – and then I tried to figure out what momentous but unrecorded fact could explain them all." Rather than taking liberties with the record, he looks for the patterns and the mysterious moments in the lives of particular figures, then speculates what fantastical images or events could inhabit that space. In this novel, one is especially conscious of that method -- the extracts from letters, poetic epigraphs, and precise dates are all reminders, but so is the realism of the characters and their environments. Even though I have read and taught Romantic poetry, I had not previously thought of the poets in such a human way as I did while reading their fictional endeavors. Perhaps that seems strange, but Powers' rich renderings make even the most exotically mythic encounters seem possible. 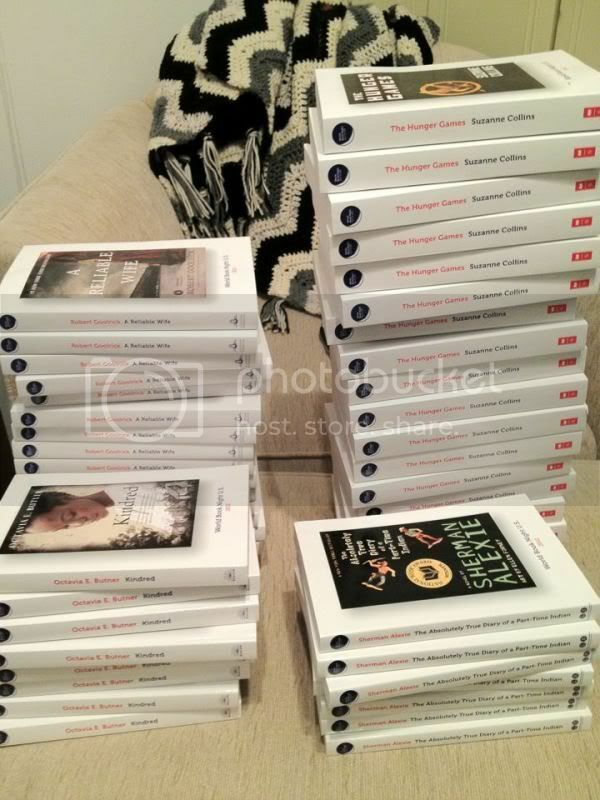 The novel is not an easy read, by any measure; it is a book that asks you to take your time and read with consideration. It also, as is typical of Powers, contains much more than one expects; there were multiple moments, while reading, that I thought the climax had come and gone, only to find that there were 200 or 100 or 50 pages yet to go and the most intense moment was just around the corner. There were even, again, as often happens with Powers, moments where I asked aloud, "what else can he possibly fit into this book?!" While that rarely felt overdone, in the big picture, it can be exhausting for an unprepared reader. When I began this novel, I did not anticipate how epic in scope it would be; by the end, I felt I had read a lifetime, not just a book. The novel closes with one of the most elegant last lines I have ever read -- which I will not spoil here -- but there are few books that offer such satisfyingly subtle, melancholic, yet somehow sweet endings. Lines like that resonate long after the book is closed, and Powers is full of them. For sheer craft and style alone, this book is worth reading, but it is also so much more than that. An absolutely necessary read, especially for fans of thought-provoking fantasy, historical fiction with a supernatural twist, or even that fan of serious literary fiction who doesn't think fantasy can do it right.